Save time and hassle with our Take-A-Tag Dispenser. 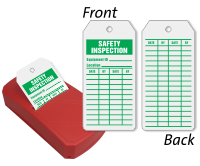 Easily dispense Safety Inspection Tags from the rugged plastic dispenser. • Take-A-Tag Dispenser feature two keyholes at the back for easy mounting near your work area or on the equipment itself. • The reusable plastic dispenser comes stocked with 100 tags. • Fan-folded tags are connected end-to-end within the dispenser. 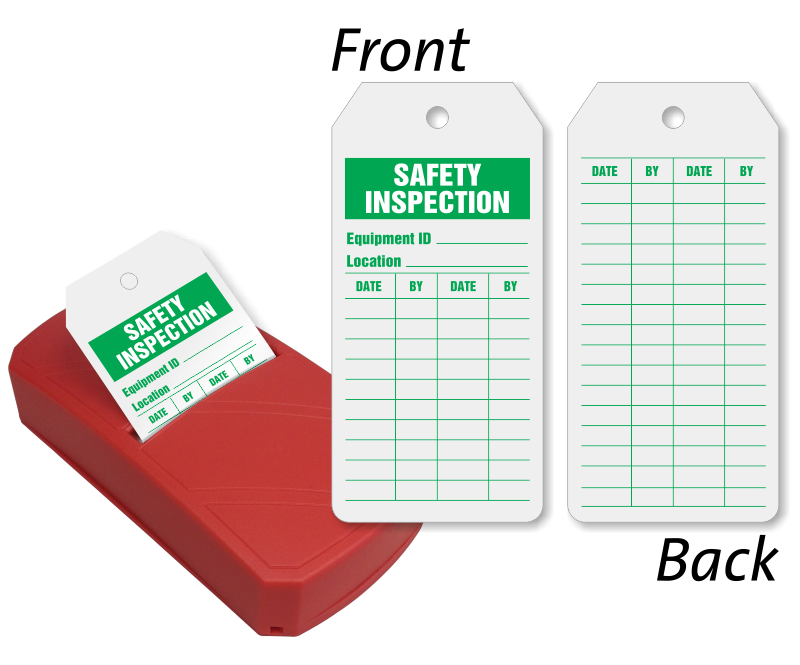 You can also order refill pack of 100 tags here.